The people who work in public health laboratories make a difference in your community daily. In this third episode, members of the Emerging Leader Program cohort 10 sit down with their peers to hear how their public health laboratory careers have made an impact. Dana White has been working in the public health lab for 16 years and is now the state training coordinator at the Mississippi Public Health Lab. 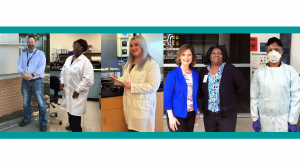 Dr.Ona Adair has been working in the public health lab for nine years and is now the Chemistry Division director at the South Carolina Public Health Laboratory. Dr. Harmeet Kaur worked in the Placer County Public Health Laboratory for four years and is currently a LabAspire Assistant Director Fellow. Kristen Durie has been working in the public health lab for six years and is now the chemistry quality assurance manager at the New York State Food Laboratory. Matt Bradke has been working in the public health lab for 16 years and is now the chemical terrorism laboratory supervisor at the Arkansas Public Health Laboratory. Degina Booker has been working in the public health lab for 40 years and is now the administrative services director for the Mississippi Public Health Lab. Dr. Burton Wilcke, Jr., now retired, has worked in public health laboratories for over 35 years in Vermont, Michigan and California. Dr. Wilcke remains active in the public health laboratory community as a member of both the APHL Workforce Development Committee and the Global Health Committee. Dr. Musau WaKabongo, now retired, was the Public Health Laboratory Director at the Placer County Public Health Laboratory and has worked in several public health laboratories in California for 13 years. Dr. Maria Ishida has been working in public health for 11 years and is now the director of the New York State Food Laboratory. Are you thinking about a career in a public health laboratory? The post Lab Culture Ep. 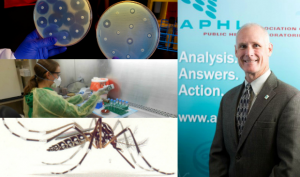 12: Bitten by the public health bug — How I found my lab niche appeared first on APHL Lab Blog. What is the Emerging Leader Program (ELP)? APHL staff, Pandora Ray and Kajari Shah, share how the ELP got its start and how it has progressed. This year’s ELP cohort is producing three episodes for Lab Culture that will be released over the coming weeks. Stay tuned! The post Lab Culture Ep. 9: What is the APHL Emerging Leader Program? appeared first on APHL Lab Blog. Countries in Africa are no strangers to major disease outbreaks that can result in illness and death of millions of people. In the past two years alone the continent has experienced infectious disease outbreaks of cholera, meningitis, Ebola Virus Disease, Lassa fever, and Yellow fever, and other public health emergencies such as drought and famine. Training participants from Zanzibar discuss the development of an emergency management program. It is vitally important to have a big picture perspective on emergency management and response – if one country is not prepared for a public health emergency, then all the countries in the region are susceptible to public health threats that can easily cross borders and impact surrounding countries. This is where public health emergency management (PHEM) comes in. In-country PHEM capacities and systems can be strengthened to support global health security. When the workforce is trained, emergency management infrastructure is in place, and functional systems exist, a country is better positioned to execute a coordinated response that can mitigate risk and save lives. CDC and other international partners support ongoing efforts to help countries across Africa build capacity in outbreak detection and response. This includes preventing avoidable epidemics, detecting public health threats early, and responding rapidly and effectively to outbreaks of international concern. CDC provides expertise in PHEM to train emergency management technicians, provide input on emergency management operations, and guide development of functional processes and systems for ministries of health around the globe. In August 2017, CDC spearheaded a 5-day PHEM workshop in partnership with the World Health Organization, the United States Defense Threat Reduction Agency, and Public Health England. The workshop brought together 55 emergency management staff members from across Africa to learn from experts in the field about how to enhance coordination and response capabilities of their country’s PHEM programs. Participants came from seven countries – Tanzania, Uganda, Kenya, Ethiopia, Liberia, Sierra Leone, and Nigeria – which all share common interests and challenges related to emergency response. The training focused on developing core principles in PHEM, including trained staff, physical infrastructure, and processes to run a fully functional Public Health Emergency Operations Center (PHEOC). The training highlighted best practices, but since many of the participants had first-hand accounts of responding to public health events in their own countries, they were encouraged to share experiences and network with their peers. Public health professionals who work in emergency response know that it’s important to build relationships before an incident so that during a response you work effectively and efficiently with partners. One participant noted that the “rich, valuable contributions from other people’s experiences to build upon what I already knew” was one of the most rewarding parts of the workshop. The tabletop exercises at the end of the workshop emphasized the importance of information and idea sharing. Participants engaged in tabletop exercises that simulated a response to a Yellow Fever outbreak in northern Tanzania. Participants were divided into 7 teams: management, plans, logistics, operations, finance and administration, communication, and partners. Each team had a mix of participants from different countries. Teams utilized information they had learned throughout the workshop to developed response products, including an organizational structure chart, objectives for the response, and an initial situation report. This exercise led to a robust conversation about different approaches to public health emergency response. Public Health Emergency Operations staff survey the scene after mudslides in Regent, Sierra Leone. A highlight of the training was when Dr. Ally Nyanga, the Tanzania Ministry of Health PHEOC Manager and an alumni of the CDC Public Health Emergency Management Fellowship, took workshop participants on a tour of the Tanzania PHEOC, a small room on the third floor of the Ministry of Health building. Previously used as a storage area for the library, the 10 x 20 foot PHEOC is now an efficient space that staff can use when they respond to public health emergencies and outbreaks. To date, Tanzania’s PHEOC has been activated to respond to widespread cases of Aflotoxicosis, a type of severe food poisoning, and cholera outbreaks in Tanzania. While the workshop is over and participants have returned home, the work that they do to prepare for the next public health emergency is ongoing. The workshop highlighted some important takeaways – you do not need a big space and high-tech equipment to respond quickly and efficiently to a public health emergency. Instead, coordination to share information, resources, and ideas is vital to a successful emergency response, both in-country and across an entire region. 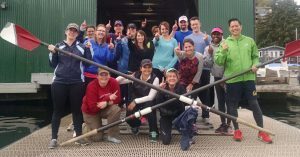 Who provides the infrastructure to train public health responders? Where do they learn what they know? Who helps a responder fulfill their mission? The answers to these questions may rest in the TRAIN Learning Network (TRAIN). After the September 11th terrorist attacks, public health departments needed a way to track the preparedness-related training of professionals in their state, region, or locality. TRAIN was established in 2003 to offer a solution to the tracking challenge and help train the next generation of the public health workforce. TRAIN is a national learning network of agencies and organizations that deliver, track, and share trainings for professionals who protect and improve the public’s health. The network identifies, develops, and promotes opportunities for professionals to build their skills and knowledge. TRAIN is an open platform, meaning that anyone, anywhere can access the training. Learners have access to thousands of health knowledge and skill-related courses. An emergency management specialist at a state health department can take courses in other disciplines or topic areas with content that is curated by the CDC or another partner in the network. Learners are able to search TRAIN for courses that are tagged with PHEP Capabilities or PHPR Core Competencies. You can register as a learner through your state’s TRAIN affiliate or through CDC TRAIN. TRAIN is a collaboration between 27 state health agencies and partners, as well as 3 federal partners – Centers for Disease Control and Prevention, Veterans Health Administration, and Medical Reserve Corps – who serve as TRAIN Learning Network affiliates. More than a thousand CDC-developed learning opportunities are available to all the registered learners in the TRAIN network. The TRAIN approach fosters collaboration, saves cost by reducing duplication, and reaches learners across jurisdictional lines. This ensures that together, we can train the entire workforce with all the tools at our collective disposal. If you have additional questions, please send an email to training@PHF.org. Hau`oli Makahiki Hou (“Happy New Year” in Hawaiian)! In 2017, APHL and its members face some significant undertakings. From Zika to superbugs, public health laboratories can and should utilize their extensive experience and knowledge coupled with new approaches to tackle these pressing issues. We’ve been here before. Specimens flood into our public health laboratories because of a new threat, and we work with local and national partners to establish algorithms, activate our response and continuity plans, and do what it takes to stop it. The Zika virus outbreak has been unique in its own right. Most of the people infected don’t get sick, yet it causes potentially life-threatening birth defects. It’s mosquito-borne AND sexually-transmitted. Cross-reactivity in serological tests with other flaviviruses like dengue disrupts screening and confuses confirmation. We clearly had our work cut out for us from the beginning, and the problem wasn’t going away anytime soon. Consequently, a successful and sustained response to this threat is going to require corporate, clinical and public health coordination and integration. Coordination: Public health laboratory leaders need to reach out and bring together stakeholders. We need to identify barriers to timely case identification and specimen transport (pre-analytic) as well as meaningful results delivery (post-analytic). We need to continue to improve Zika algorithms, and keep everyone informed of those changes. We need to convene the meetings today that will outline our activities month and years from now. Integration: We need to help corporate test developers understand testing demands and requirements so they can leverage their strengths to make new tests available to our clinical partners. We need to work with developers, regulators and clinical partners to ensure that we maintain continuity if/when transitioning testing to non-public health labs. We need to ensure reporting to public health is not overlooked and that access to confirmatory services are available. So, the Zika response is a bit like a relay race. We have the baton now, but we also need to make sure it is firmly in the hands of another “runner” before we let go. APHL is committed to helping with this; I certainly am as president. Speaking of races, the bugs seem to be beating the drugs. Alarming resistance mechanisms have (finally) gotten enough attention for us to witness significant funding for public health efforts to combat the antimicrobial resistance epidemic. Lab folks may not control prescriptions, but we need to get in the game with providers, epidemiologists, pharmacists, clinical labs and manufacturers to reassert our collective dominance over the single cell super bugs. We need to get advanced detection and characterization methodologies validated and available to improve antibiotic awareness that can lead to better decisions for individuals (e.g., detection of Tamiflu-resistant influenza A, confirmation of carbapenemase-resistant Enterobacteriaceae, etc.) and populations (e.g., high-quality antibiograms, etc.) In 2017, the Antimicrobial Resistance Laboratory Network will begin providing services, and the new APHL/CDC Antimicrobial Resistance Fellowship, which offers master’s and doctoral level graduates the chance to explore related topics, will welcome its first cohort. Hard work at multiple levels is needed to reverse losses in the efficacy of life-saving therapeutics. Whether we like it or not, our communities look to public health laboratory scientists for leadership. This role extends far beyond the position description we read before getting hired for our jobs. It’s more than managing the people we directly supervise. It’s influencing people, policy and procedures throughout our sphere of influence. APHL’s vision is a healthier world through quality laboratory systems, so we cannot limit ourselves to those resources we control directly. We need to provide leadership throughout our sphere of influence. That can be as big as testifying on Capitol Hill, or as (seemingly) small as encouraging a student on his or her science project. The opportunities are TNTC*, however in the two subjects I outline above, the emphasis is on initiating and leading cross-cutting collaborations that strengthen laboratory systems and make the world a safer place. Hmmm, not a bad thing to list as an accomplishment to get your boss’ attention during your next performance evaluation…am I right? *TNTC – Too numerous to count; an amusing reference to the acronym used in microbial quantitative plate counting. The post Leading the Zika relay race and other presidential priorities for 2017 appeared first on APHL Lab Blog. After a brief hiatus due to funding, the APHL/CDC fellowship program is back! Formerly known as the Emerging Infectious Disease (EID) fellowships, the newly reinstated program will be simply known as the APHL/CDC Laboratory Fellowship program. Over the next few months, APHL and CDC will work closely together to refresh and improve the fellowship program with an initial emphasis on preparedness. A key tool in restructuring the program will be the Competency Guidelines for Public Health Laboratory Professionals featured in the May 15 Morbidity and Mortality Weekly Report (MMWR). We are thrilled to have this program back on track and hope to begin recruiting in 2016. Resuming the APHL/CDC Laboratory Fellowship program would not have been possible without the hard work of many laboratory leaders at CDC, the CDC director’s office, former fellows and APHL staff. April 20-26 is Laboratory Professionals Week! This year APHL is focusing on environmental health and the laboratorians who work to detect the presence of contaminants in both people and in the environment. This post is part of a series. Ever since I was a little girl, I have always wanted to do something in the field of science that would help others. Originally I thought of becoming a doctor or a nurse, but determined early on that was not for me. I was then interested in perhaps teaching science at the high school level. However, in high school I determined that I would much rather be doing testing that would assist others on a population scale. While working on my degree in Chemistry, I got a job with an insect ecologist and, later, a plant ecologist. I learned how we interact with our environment and how impacts on the environment affected the public. 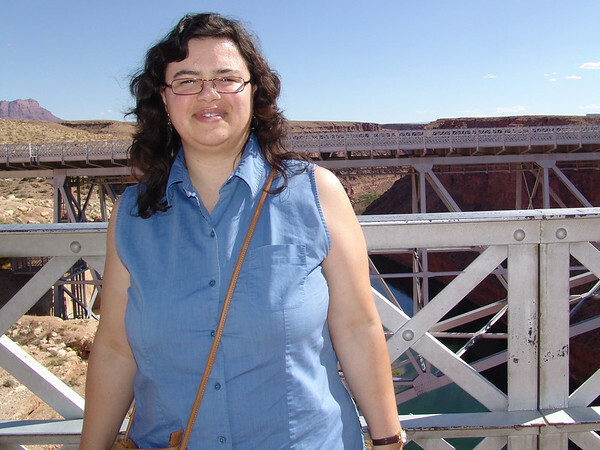 It wasn’t until I graduated and was fortunate enough to land a job with the Arizona State Public Health Laboratory Chemistry section that I started seeing the connection to public health. Early on in my career I started noticing that when there was an event that would have a potential environmental health impact, we would receive samples to provide needed information. Performing the Environmental Protection Agency (EPA) methods on a routine basis and in emergency situations taught me the importance of the work we do. As I progressed through my career at the public health laboratory, I became an EPA Certification Officer for the state of Arizona and with the Arizona State Public Health Laboratory, which allowed me to expand my horizons and see how the environmental laboratory community was contributing to the safety and health of Arizonans. I learned that the treatment of drinking water was one of the greatest revolutions in public health and that ensuring we continue to have a functioning system was critical to preventing reoccurrence of diseases like cholera. During this time, I realized that I wanted to stay in public health and went on to earn a Master of Health Administration in 2007. I also began to explore biomonitoring and the lab’s past, present and future involvement. Biomonitoring allows us to explore the connections between the environment and the population to help promote and protect the public. In my current role as Office Chief of Laboratory Services and Quality Assurance Manager, as well as in my previous role, I have the opportunity to provide training to our partners on the importance of testing and to provide presentations to educate the community on the work that we do. I take pride in the work that I do to promote and educate individuals on what it means to be involved in public health laboratory work and that environmental health is a critical component of that work. I enjoy coming to work at such a rewarding place every day.